The Gift of Christmas Past (2017) + Giveaway! 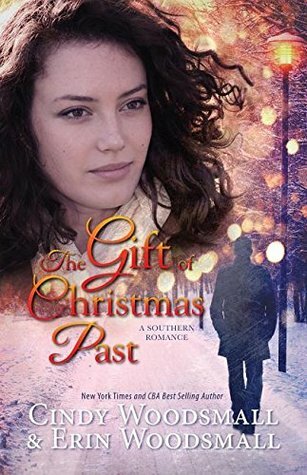 The Gift of Christmas Past (2017) by Cindy Woodsmall and Erin Woodsmall is a fantastic stand-alone novel. This book was just released this past October by Stonewater Books. This book comes in all forms including eBook, and is 244 pages in length. With a busy Thanksgiving week, a seriously rambunctious five-year old + her five highly energetic cousins to watch after, this novel took me three days to read. I received a free copy of this book from the authors, Cindy and Erin. In no way has this influenced my opinions of the story. All opinions expressed in this review are my own. I give this novel 5 STARS. This story is a Contemporary Christian Romance. Lies spoken. Promises shattered. She went to juvenile lockup. He returned to the safety of his wealthy parents. Almost ten years later, Hadley and Monroe are both specialists in the field of speech therapy. They meet again . . . thrown together to help a four-year-old-girl rendered mute after a suspected arson. Years of secrets and anger beg to be set free as Hadley and Monroe try to push aside past hurts and find common ground in order to help the traumatized child and her family. Can the love of Christmas past drift into the present, bringing healing and hope for all? I am so blessed to have been asked by the authors to read this beautiful story. This book is SO good. I had no idea what I was getting when I began this book. I know Cindy Woodsmall is an excellent writer because I read and reviewed her The Amish of Summer Grove series, so I knew this book would be equally well written. But the depth of emotion right off the bat in this book took my breath away. I enjoyed every page of this book, and I’m a little sad it’s over. 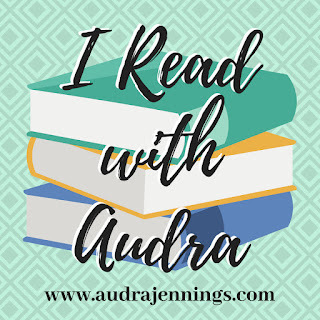 This is a story I definitely disappeared into, and I love when books allow me to escape! Kuddos a million times over to Cindy and Erin for writing an impeccable story. I hope they have more novels planned for the future! This book tapped into issues I had no idea really existed: speech issues. Speech problems have never existed in any form in my family. Join us all for one meal and you will realize that we are big and bold people with unique voices (even the kiddos). As an educator for the past 13 years, I have had very little experience with speech issues because I teach the AP and Honors kids. They tend to have a different set of issues, which tend to rarely be physical. I did not realize just how many people are affected by speech issues such as apraxia and selective mutism. These words were completely foreign to me before I began this book. There is a beautiful four-year old girl in this story. Her name is Chloe. Chloe has had speech problems her whole life, but seemed to be doing really well under Hadley’s tutelage the past two years. A fire set in her apartment building makes little Chloe and her parents homeless. This trauma virtually wipes away all progress that Hadley’s made with Chloe. It’s one of the most devastating parts of this book. As a mother to my amazing five-year old, I cannot fathom Bella being voiceless. It would break my heart to see the frustration and anger brought on by my five-year old wanting to communicate but not being able to. Of all this story has to offer, and this story has A LOT to offer, this stuck with me the most. I am so grateful to God that my child has her voice, that I have my voice. This story has reminded me that I need to be grateful for the gift of voice God has provided to me and my family. It is something I have shamefully taken for granted, but will try hard not to take for granted ever again. Beyond actual speech impediments, this book also beautifully looks at the loss of voice because of age and economical status. At the start of this book, Hadley is a 17-year old foster kid deep in the system. She has no family. She has no money. She doesn’t have very much going for her as far as options are concerned. Because she has had a hard life as a small child and teen, she has an anger and impulse issue. She has made a couple of stupid mistakes, but because she is a foster kid no one is willing to look beyond her status to see the innocent kid she really is. Everyone, except her best friend Elliott, abandons her when she needs someone the most. It is truly heartbreaking, and there were a couple seriously tearful moments where I wanted to scream at all the arrogant, ugly, judgmental people in her life. As an educator, this is something I deal with on a daily basis. I teach amazing kids every day. I see the devastation this world inflicts upon kids. It kills my heart. What kills me the most is the lack of voice and power my kids have simply because they are teens. Our world see teens as insignificant and as a nuisance. And, if they are a foster teen, the world almost refuses to see or hear them at all. This is wrong. I hate watching my students feel powerless and worthless simply because adults for years and years have created a social construct that sees children and teens as less. Sure, a child needs time to grow and mature, and should not necessarily be allowed to do things as an adult. But to cut out their voice? To make them powerless until they hit the magic number 18? To disbelieve a child simply because of their age or economical status? That is dehumanizing and unjust, and not what God wants. If Jesus can sit surrounded by the little ones loving and listening to them all as they joyfully chatter away, then why won’t we? The complexity of this book is brilliant. The English Lit major in me absolutely adores the parallel symbolism of the actual voice problems juxtaposed to the metaphorical voice problems society has placed on children and teens. The layers in this book are so deep, I haven’t even touched on the story line!!! This book needs to be experienced, and I truly hope you will do so. I am left feeling so hopeful, and I am excited to get back into my classroom tomorrow to be with my kiddos. What a perfect way to move into the Christmas season. I highly recommend this novel, and hope that you will either enter my giveaway for a chance to win a copy of this phenomenal book, or go to Amazon and purchase a copy today! And, good news for all you Kindle Unlimited subscribers; as of the posting of this review, Kindle Unlimited has this book available for free. Cindy and Erin, congratulations on a superb novel! I truly hope there are more novels from the two of you in the near future. I am giving away ONE (1) paperback copy of The Gift of Christmas Past by Cindy Woodsmall and Erin Woodsmall. As a side note, I did make four tiny highlights in this book. There are some truly excellent lines in this story that I just had to remember. This giveaway begins today, 11-26-17 at 11:00 am and ends on Wednesday, 11-29-17 at 11:00 am. Good Luck! I’ve heard of these conditions before but haven’t read about them much. Thanks for the giveaway! I’ve never read Cindy Smallwood since I don’t read Amish books but this one totally grabbed my attention! I’m not a big Amish fan myself, but anything Cindy writes I will read. This particular novel is not an Amish story. I think you will love the book! I had never heard the terms apraxia and selective mutism. I can tell from the book description that The Gift of Christmas Past would be an informative and emotional book that I’d love to read. Wonderful review! I’ve worked with foster kids (mostly teens), and it is frustrating how the stigma of being a foster kid effects them, especially when the majority of them are really good kids that just need to be given a chance! Actually, my daughter is a speech pathologist and I’ve heard her mention these terms. Sounds like a wonderful book. Thanks for your review. I’ve heard of these conditions but they weren’t given a label. I haven’t had any personal experience with any speech impediments except maybe lisping. Some outgrew it. But some overcame and just lived with it the rest of their lives. Thanks for the chance to win! It’s great that you have insight and experience and a heart to learn! Thank you for your comment, Paula! And, thanks for entering the giveaway. Good luck! I️ just finished reading this one and I️ really enjoyed it! It is a really well-written story. I was looking for something new to read and happened across this one. I wanted something Christmas to use for my own blog post, and I thought it would be perfect. Though my post went a little different direction, I can’t complain. I agree that it was a well-written book with an interesting story. I enjoyed it very much.